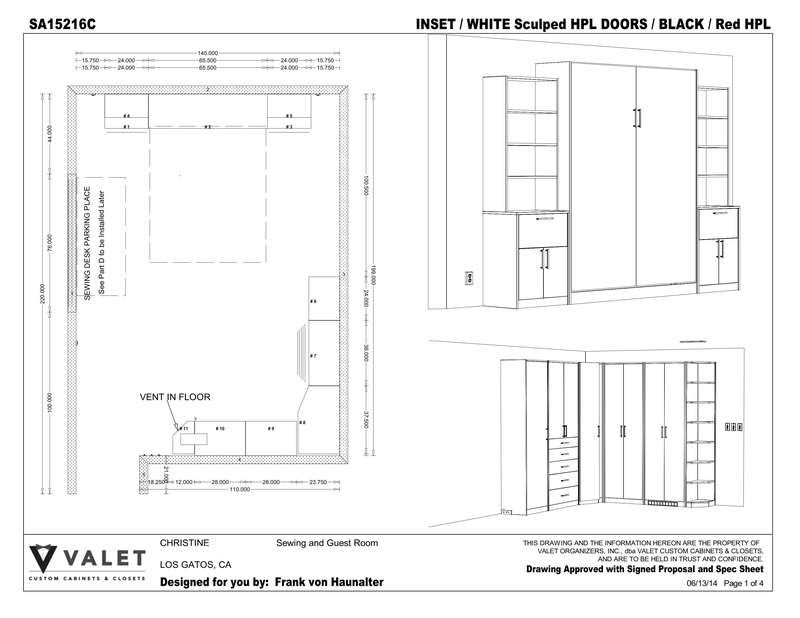 Our featured project this month was designed by Ward Wildanger, a senior designer at Valet Custom Cabinets & Closets. He is a recent finalist in the “Garage” category for his project “The Dream Garage” in this year’s National Top Shelf Design Awards presented at the 2015 Cabinets & Closets Conference and Expo in Schaumburg, IL. Ward brings over 25 years of design and engineering expertise to his work, and it shows in his projects, like this one in Los Gatos. Chris wanted a room that would do double-duty as a guest room and sewing room.